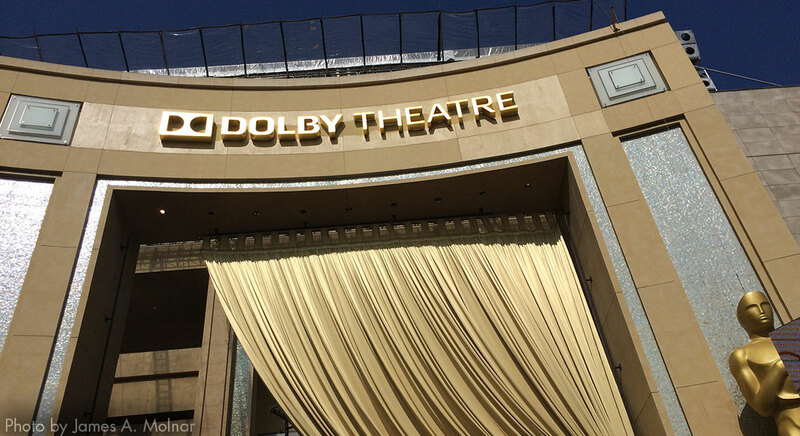 The sun was shining on the Red Carpet Thursday, with the golden curtain under the Dolby Theatre arch glistening. 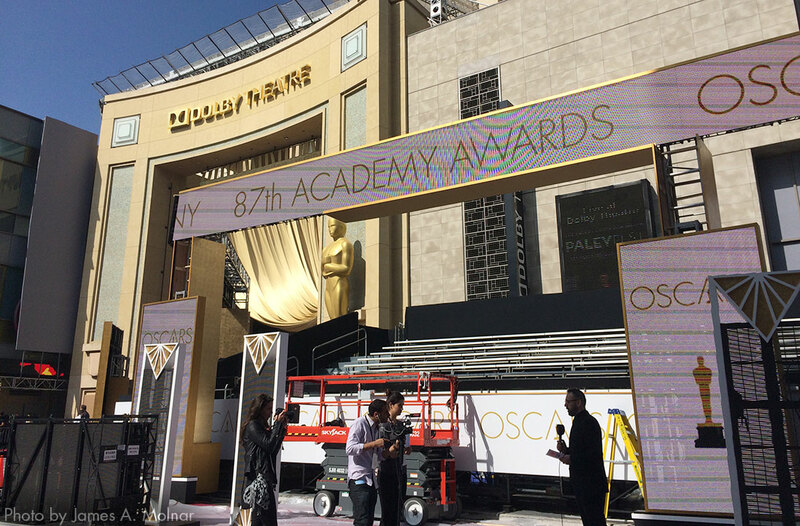 HOLLYWOOD, Calif. — The sun was shining on the Red Carpet Thursday, with the golden curtain under the Dolby Theatre arch glistening. The beautiful 70-plus degree day was quite a change from the deluge of rain faced last year by organizers. 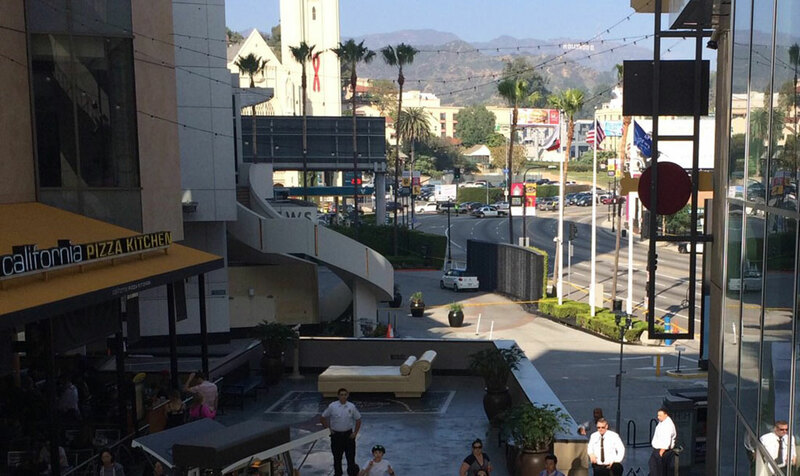 Workers placed final patches of rouge carpet over sidewalks alongside Hollywood Boulevard (below). 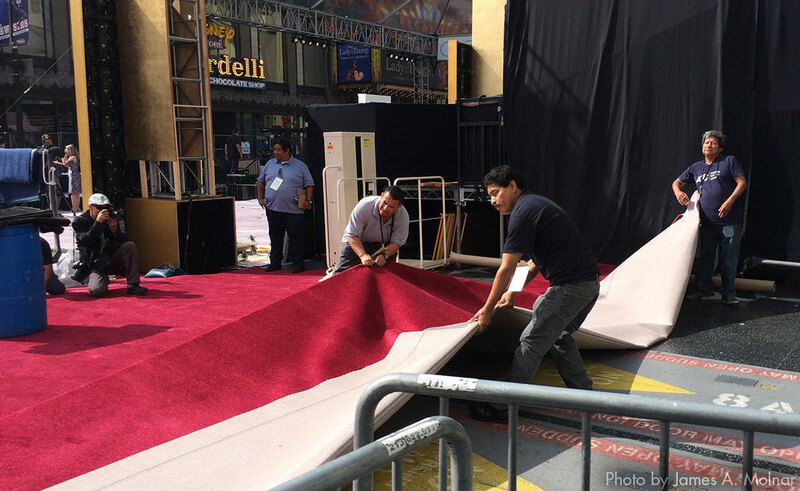 The stretch of street is being transformed in the famous Red Carpet for the big day on Sunday. Host Neil Patrick Harris greets those arriving at the front of the Red Carpet. These bleachers will be filled with 700 enthusiastic fans come Sunday. 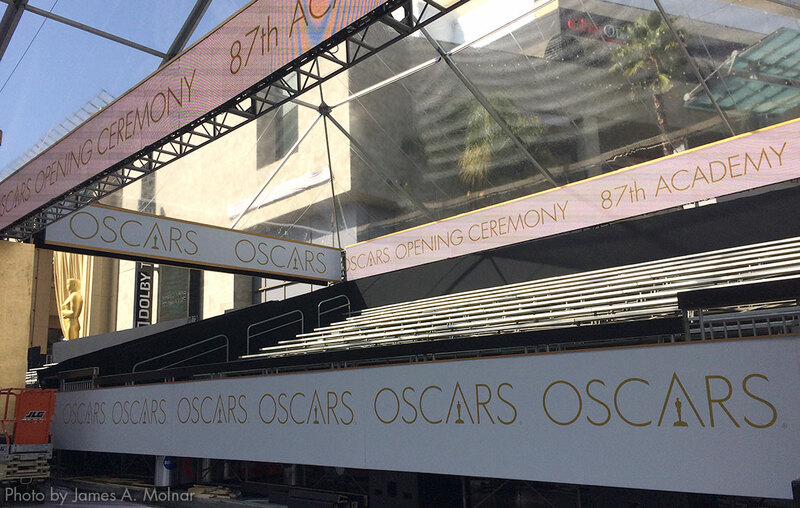 Video screens are plentiful on the Red Carpet this year. 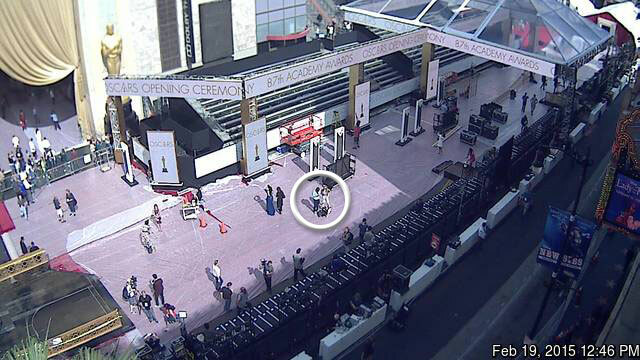 Can you spot TGK Editor James A. Molnar and fellow Oscar reporter Kristyn Burtt? 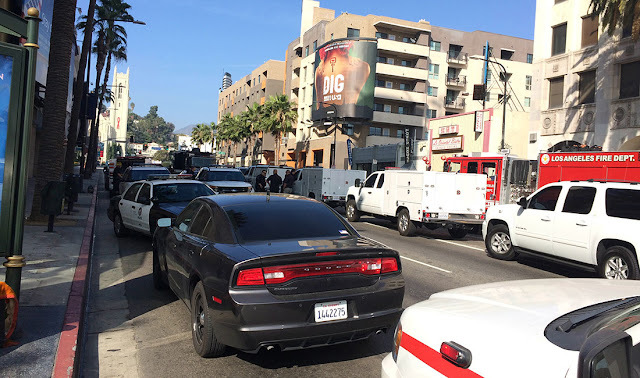 On Thursday afternoon, a bomb scare shutdown Highland Avenue north of Hollywood Boulevard. 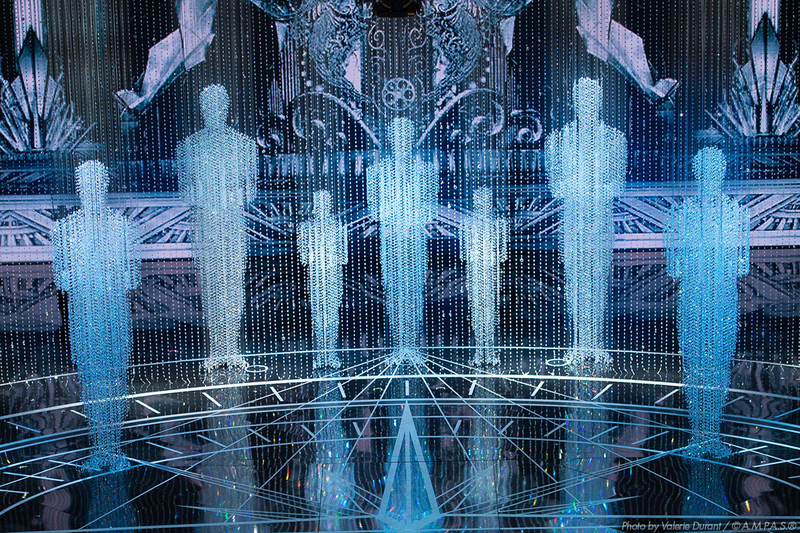 The lobby and the area immediately in front of Loews Hollywood were closed off to the public. At 4:12 p.m. PT, police gave the all clear via Twitter. #LAPD #Police Activity: Code 4 (all clear) re: suspicious package at Highland between Franklin & HWD Blvd. Roads will reopen shortly. 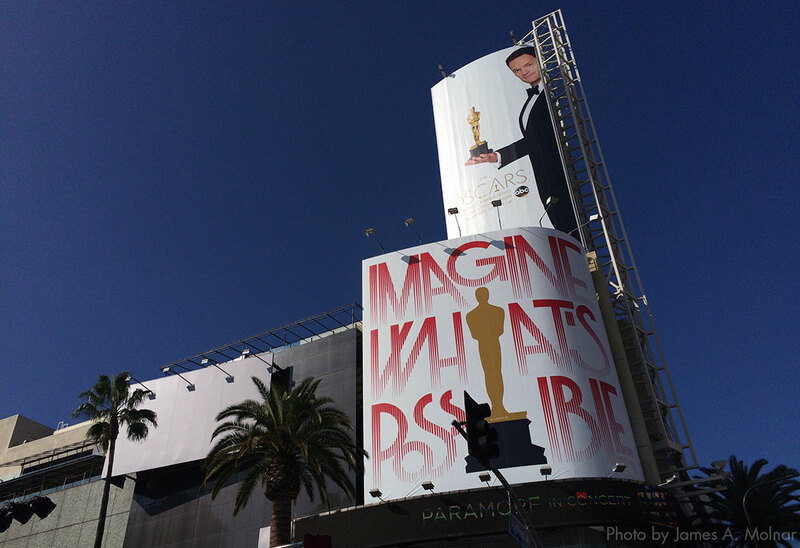 Stay tuned for more updates from Hollywood. 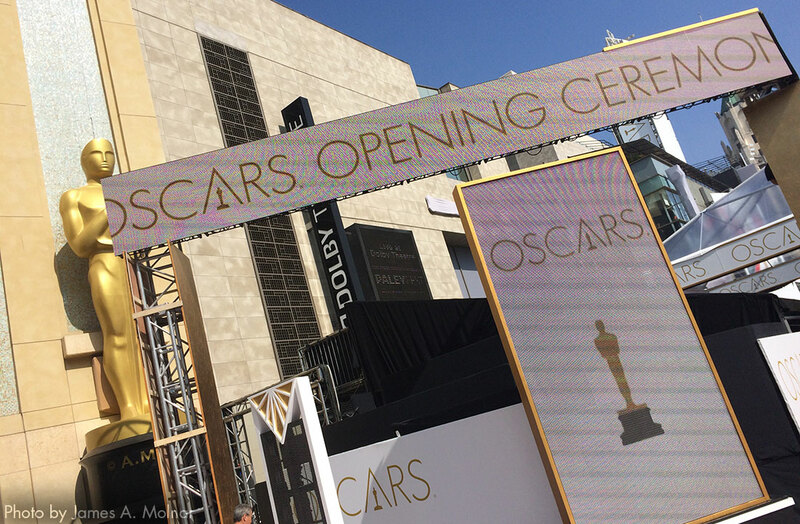 Follow The Gold Knight on social media using #TGKoscars and follow us on Twitter, Facebook, Instagram and Tumblr.